Gaining access to good hunting ground that is not overrun with people is a big complaint by many hunters across the US. Sure there are walk in areas and public ground, but sometimes a large number of people can make it seem impossible to have a good hunt. I grew up hunting public ground. We lived on private property but actually found some of the best duck and deer hunting places to be on public ground within 30-miles of our home. If you’re looking for land to hunt near you home or if you’re planning on traveling out west on your first elk hunt, here are a few tips to help gain access to more ground. 1.) Get Online. Most of the public hunting ground and walk in areas around the country can be found online. Not only can you take a look at places you already know of, but you may find new areas that you never knew existed. Use Google Earth. 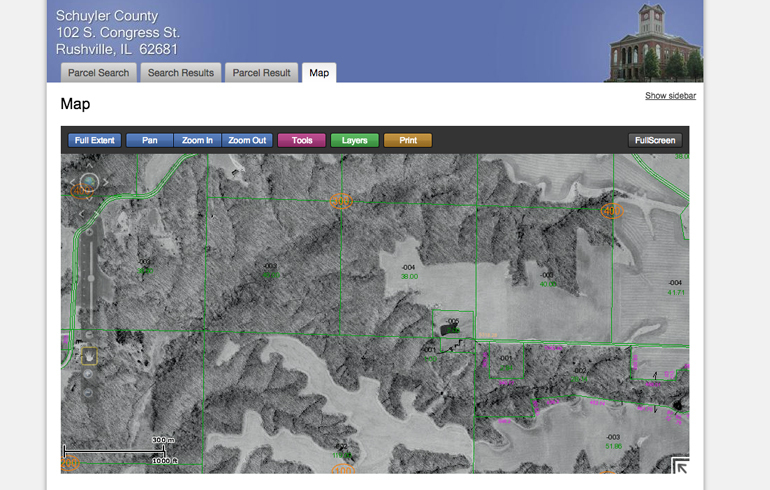 This is a great tool that you can view aerial views of property or areas you hunt and understand the lay of the land better. I like it to look at large blocks of timber to find pinch points or ways the deer may be getting from the cover to a nearby food source. Nothing beats getting out there and doing a little legwork, but I like to have the option for the aerial view to truly understand my geography and that of the surrounding areas. Another great feature I’ve found is to Google the county or state you’re interested in, then do a little GSI (Geographic Information System) snooping. 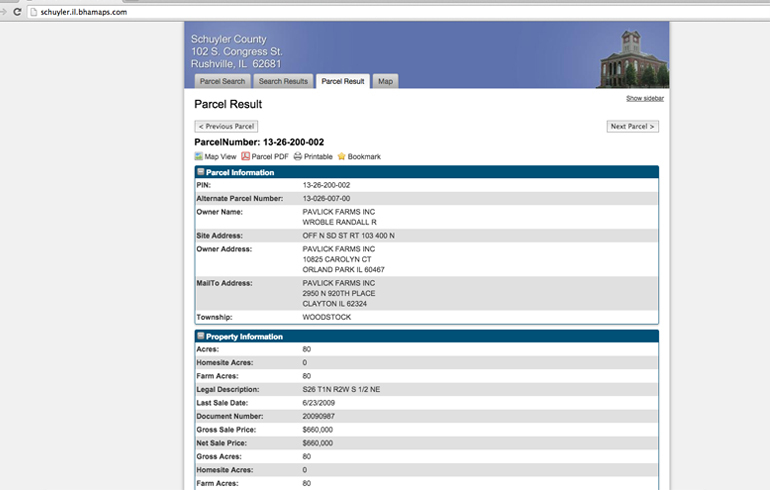 So for Schuyler County, IL GSI for example will bring up property boundaries, ownership, owner address, acreage, etc. It’s a pretty amazing tool that not every county has, but is worth checking out. 2.) Be Friendly. If I’m going to a new area and intend on finding hunting ground one of the best ways to spend your time is to stop by a local cafe, gas station, or local hangout. It’s amazing how many opportunities you can get just by being friendly and introducing yourself to new people. I’ve met ranchers, farmers, and just other great hunters by doing this and it can be extremely beneficial. They may not have available ground to hunt, but there’s a good chance they know someone who does. Biggest thing to remember is not to be pushy or try to throw money around. Just show that you’re a genuine hunter looking for a place to go. This goes a long way and can produce great results. 3.) Give Back. Once you find a place to hunt, I can’t stress how important it is to give back. I don’t mean big sums of money, I’m talking the little things. If you have the privilege to take a deer, pheasant, ducks or whatever it may be. Go home, clean the game, prepare it and bring some back as a thank you. Not many people want a full duck dropped on their doorstep upon leaving however a cleaned animal already prepared can be a great gesture. This also goes for fishing season. See if they like fresh fish and sometime during the off-season stop by with a meal of fish, and maybe a gift certificate to a local restaurant. Again, these aren’t big things but it’s more about the thought and showing your appreciation. 4.) Respect Property. 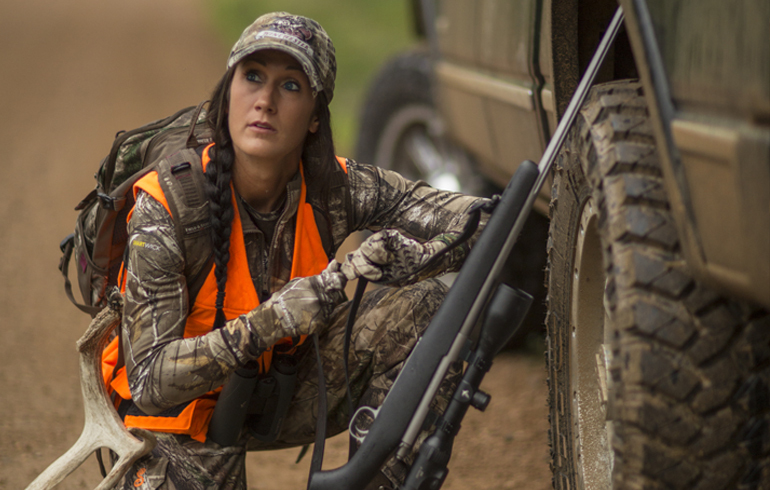 A big thing many people are afraid of is a dis-respectful hunter. They don’t want anyone shooting near their home, and they surely don’t want their fields and roads tore up if it happens to rain. Establish early on that you understand this and then live by it. Go out of your way to leave the property better than you found it. It doesn’t hurt to even ask from time to time if there’s anything you could help them out with. Maybe they have something they need assistance with, and if they know you’re willing to give them a hand they’ll appreciate having you around even more. You’ll get to hunt, they’ll get a helping hand and you’ll both be happy. 5.) Start Small. One good way to get in people’s good graces when looking for hunting land is to start small. Maybe you know an area has amazing deer hunting but they don’t allow people to hunt it. If they have coyotes in the area, maybe start there. Most people will grant access to take out coyotes because they are a huge pest for ranchers, farmers, and everyone alike. Once you take a few coyotes off their property and they get to know you the opportunity may open up for more hunting as well.